Hoorah I’m on time this week, for the first time for ages! 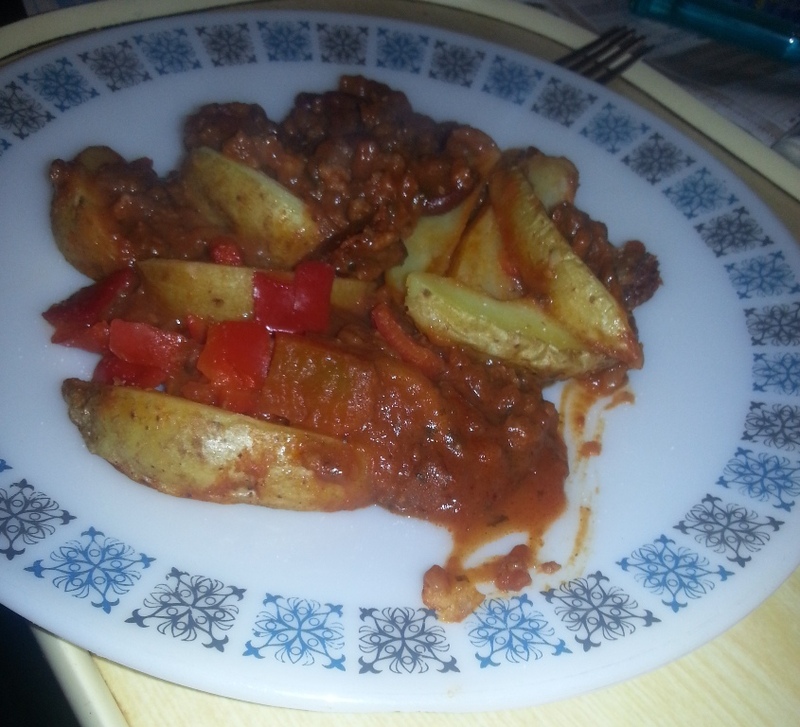 This week’s is Asda Beef Chilli and Wedges, a ready meal that my mother is quite fond of. Again to go with my mince and potato addiction I thought this was appropriate. 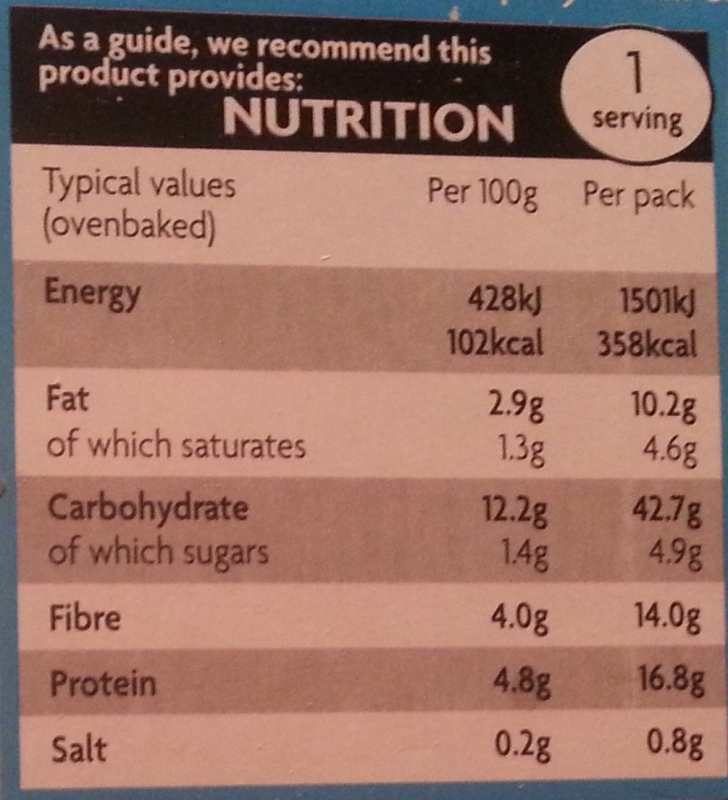 Remember if you have a ready meal you’d like me to review get in touch. 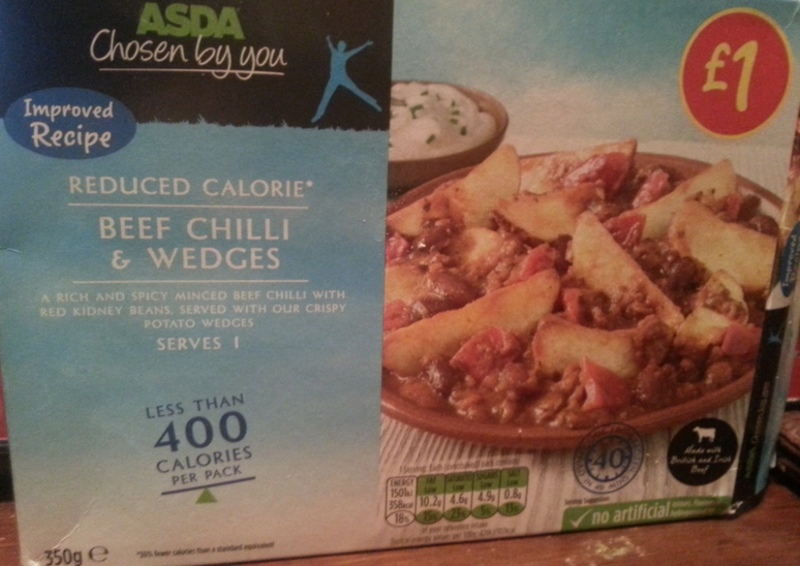 Ready Meal Monday – Asda Beef Chilli and Wedges in it’s box! Rich and spicy minced beef chilli with red kidney beans served Salmon pieces in a savoury sauce, covered with a our crispy potato wedges. Again, I wasn’t overly impressed with the potatoes, they weren’t as crispy as I’d have liked but I think that’s a ready meal thing as this seems to be a running theme. This is a hat trick of poor potatoes, they weren’t shocking just not quite as I’d expected them to be. I had a chat with “the special one” (Heather, my sister 😉 ) recently and she’s been experiencing the same with potatoes in ready meals. 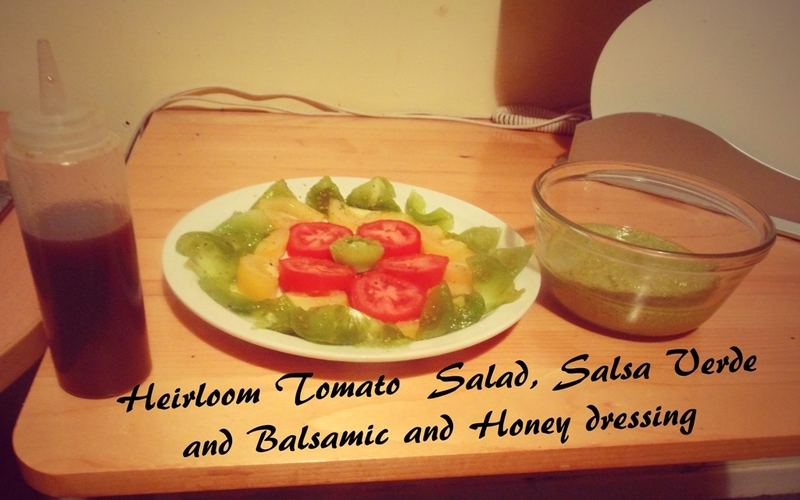 This has an improved recipe and boasts the fact that it is less than 400 calories, for a better break down on the nutritional values of this dish and its ingredients see the pictures below. Now on the chilli scale I’d say this was a probably a four – five out of ten but my mother who is not such a fan of heat thought it was a six (out of ten). 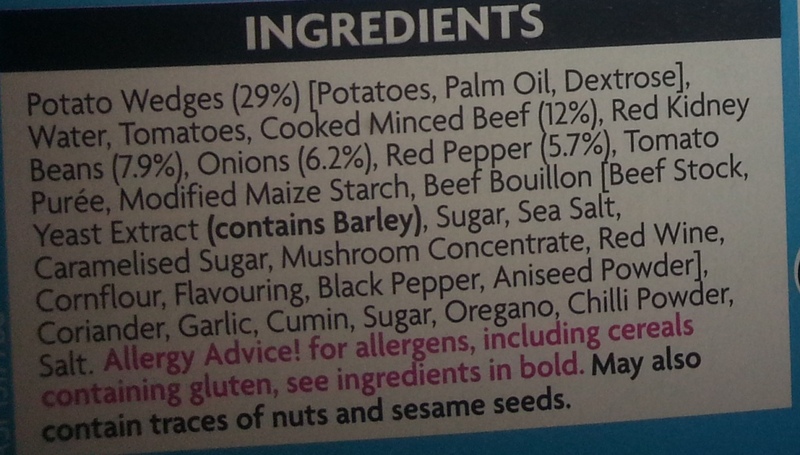 It’s quite a tomatoey sauce and the balance of heat is great, the mince isn’t chewy either which is always a bonus. Don’t forget to subscribe to the blog and visit us on our social networking page. 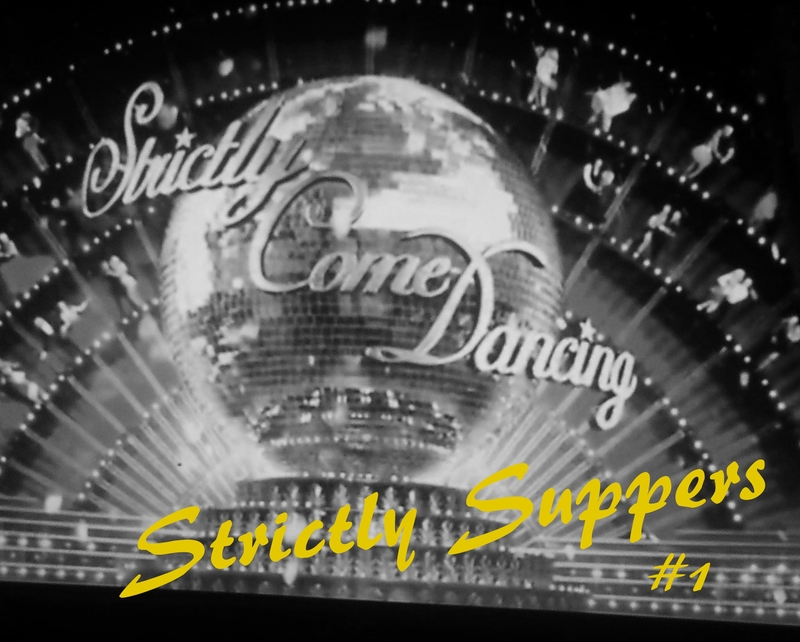 Keep your eyes peeled the first in our Strictly Suppers series coming later in the week. Come back again soon and, together, we’ll make more Wheelie Good Meals!